There are two methods for cooking on a gas grill: the Direct Method and the Indirect Method. It’s important for new grillers to understand the difference between the two methods and when each should be used. In the Direct Method, all burners are lit and the food is cooked directly over the lit burners. Weber recommends that the direct method should be used for foods that take less than 25 minutes to grill. These include thin, tender cuts of meat like steaks, pork chops, chicken pieces, burgers, hot dogs and sausages, shish kabobs, as well as fruits and vegetables. Start by preheating the grill for 10 minutes with all burners on HIGH. 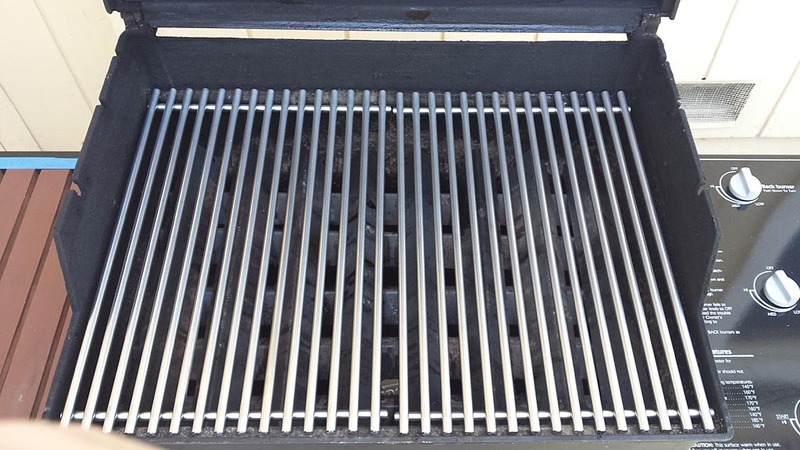 Brush the grates clean and put the food on the cooking grate. Adjust the burners as directed in the recipe. Grill with the lid closed except when turning food or checking for doneness. In the Indirect Method, only some burners are lit and the food is cooked over the unlit burners. Weber recommends that the indirect method should be used for foods that take 25 minutes or longer to grill. These include large, thick cuts of meat like beef rib roast, whole chicken and turkey, and whole fish; tough cuts like pork ribs; and delicate fish fillets that have a tendency to dry-out. Start by preheating the grill for 10 minutes with all burners on HIGH. Brush the grates clean then turn off some of the burners. If using a 3-burner grill, turn off burner 2 or burners 2/3. If using a 4-burner grill, turn off burners 2/3. If using a 6-burner grill, turn off burners 3/4 or 2/3/4/5. Put the food on the cooking grate over the unlit burners and adjust the lit burners as directed in the recipe. Grill with the lid closed except when turning food or checking for doneness.